"Doing business with Duluth Cleaning Contractors is an easy choice. For several years, they have professionally and promptly handled our cleaning requests both large and small. When Customer Link expanded into a second office in 2009, Duluth Cleaning Contractors was ready and willing to take on the added responsibility. We truly appreciate their excellence in customer service and are happy to support their local business. Thank you!" "Duluth Cleaning does a great job cleaning our office every evening. In addition, they are reliable and efficient. Thank you." "DCC is doing the very best job in the cities of Duluth, Superior, Cloquet, Virginia, Two Harbors, Hibbing, Baxter, Walker, Biwabik, & Deer River. 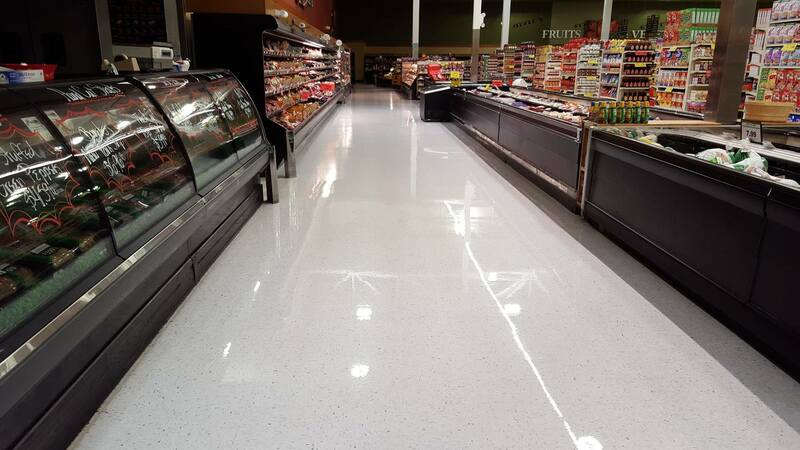 As far as cleaning floors in an extremely Busy Grocery Store application! DCC is working in 13 locations as well as one Mall in Cloquet along with all their liquor store locations, which include Cloquet, West Duluth and Hibbing. With winters up in this neck of the woods, our floors always comes back SHINING. DCC always maintains our high expectations! We have a lot of sand and salt that can grind our floors shine away in one afternoon! We have tried the big national floor cleaners and have come back to DCC to take care of our floors. They are always willing to get the problems under control! I always am happy with the work that DCC does." DCC is doing a great job on the floors. Haven't seen a shine like this for years. What a difference.